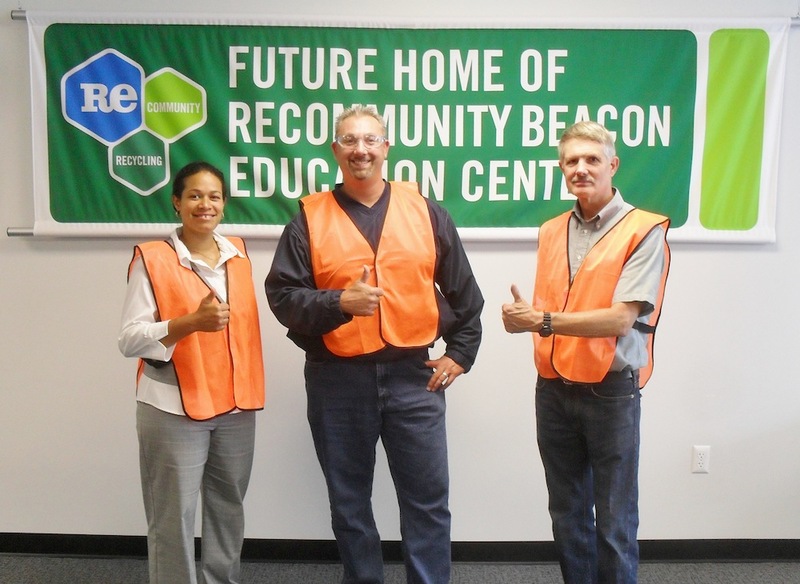 Dutchess County Legislator, Francena Amparo visited ReCommunity Recycling’s “single stream” Beacon facility. 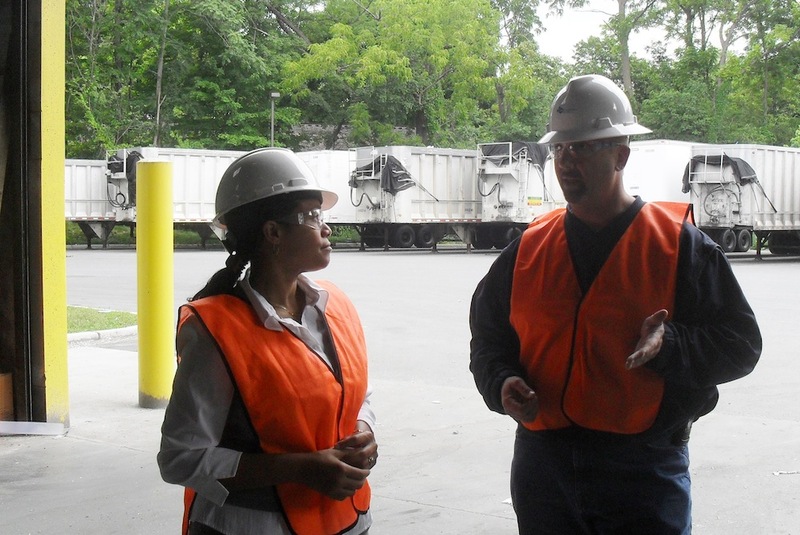 Dave Kahn, the plant manager, gave Amparo and Charlie Davenport, candidate for Dutchess County Legislator in District 15, a tour of the facility. 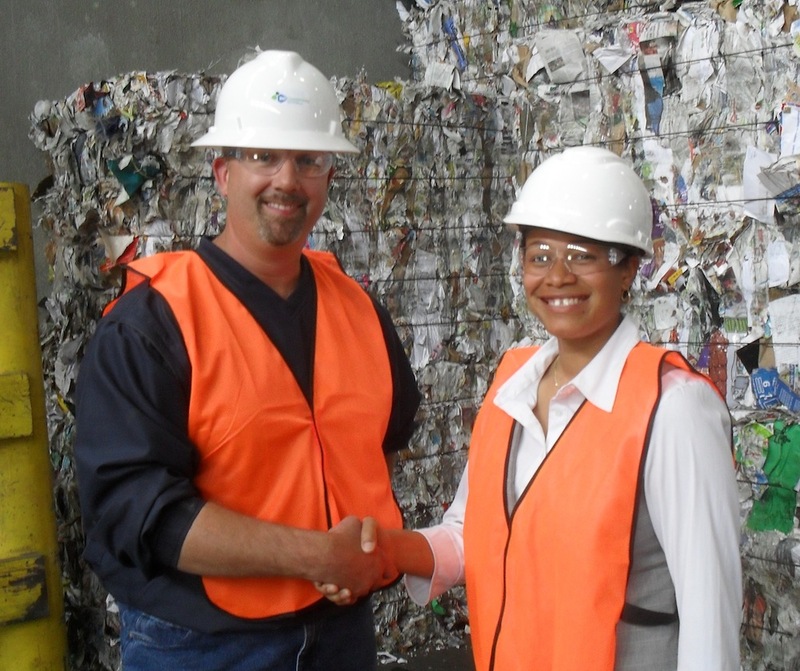 ReCommunity is a 56,000 square foot facility that recycles 400 tons of paper, plastic, metals daily. Only 7% of incoming materials go to landfills or incinerators. Currently there are 70 workers employed in two 10 hour shifts, which is no where near the capacity needed. If there is more of a focus on recycling, it can help build the ReCommunity business, and in turn will create more hires in Dutchess County. All the employees live locally. Posted in Local Happenings and tagged Dutchess County, Dutchess County Legislator District 14, Francena Amparo, ReCommunity, Recycling on August 27, 2013 by Dutchess County Legislator Francena Amparo.